View the entire table of contents for the March 31, 2016 issue. E. & J. Gallo made a major move in December, inking a deal to acquire the Ranch Winery and MaryAnn Worobiec is Wine Spectator's new lead taster on the wines of Australia. 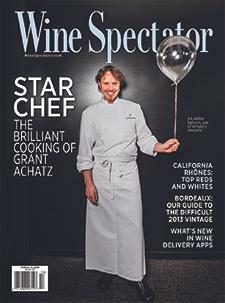 For the full article, check out the new issue of Wine Spectator, on newsstands February 23, 2016.